“Well I can’t tell you how much more I like my teeth every day. I was organizing pictures on my computer of the last few years. Every time I see a picture of my smile I cringe worse than I did before! Ugh! I want to delete, delete, delete! Now I love to have my picture taken since I feel so much more confident in myself. I have had people stop me when I am out and tell me I have the most beautiful smile….like that ever happened before. 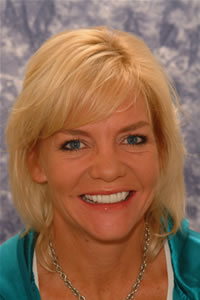 I can’t thank you enough for my new smile, I love the appearance of these new porcelain veneers. I keep asking myself why I waited until I was 40 to do this! A dental veneer is a thin shell of porcelain that is bonded to a tooth to improve its color and shape. A porcelain veneer generally covers only the front and top of a tooth. The advantages of using a dental veneer to restore a tooth are many. Very attractive aesthetics can be obtained, with minimal reduction of tooth enamel. . Dental veneers can be used to close spaces between teeth, lengthen small or misshapen teeth, or whiten stained or dark teeth. Porcelain veneers may be used cosmetically to resurface teeth to make them appear straighter and possess a more aesthetically pleasing alignment. This may be a quick way to improve the appearance of crooked teeth without braces. For those who want longer teeth or have spaces to be filled, Lumineers can be placed for that beautiful smile. During the first appointment at our Detroit area office, we may gently numb the teeth. We then shape and roughen the teeth and make impressions of your teeth to create a precise working models of your mouth. These models are used to artistically craft porcelain veneers to fit the prepared teeth. You will be invited to decide the shape, color, length and appearance of your teeth that appeals most to you using temporaries before they are made out of porcelain. 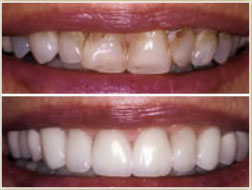 Through sophisticated photography and digital electronic shade matching you will get the teeth that you have dreamed of. 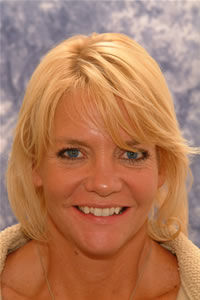 During the second appointment we clean and polish the prepared porcelain veneers, and bond the new veneers to the teeth. Once in place, porcelain veneers virtually become part of your teeth. You can use them like you would your own teeth, because the bond is extremely strong. The final result is beautiful and natural looking teeth. Who Would Not Be a Candidate for Porcelain Veneers? Porcelain Veneers are strong, but those who grind their teeth must wear a mouthguard at night to protect the veneers from chipping or breaking. Patients whose lower jaw protrudes out farther than their upper jaw, (Jay Lenno profile) may not be good candidates for dental veneers because the teeth of the lower jaw may bite into the teeth of the upper jaw and dislodge the veneers. Serving the Detroit, Sterling Heights, Macomb, Shelby, Clinton Twp, Warren, Washington, Chesterfield and New Baltimore Michigan area.